Can someone point me to a primer on motors? I have a post on an ebike that I am going to make (another forum on this site) but I need to learn more about batteries. Can someone point me to a website or post that will help me understand? I would like to stay away from hub motors because I have heard you can get more bang for the buck with other kinds and other kinds are more tweakable. Re: Can someone point me to a primer on motors? Our V is for Voltage Forums Community Hand Books are always a good place to start. The EV Collaborative Hand Books are constantly being updated, so check back often. If what your looking for is not there let us know, and we'll find it for you. What type of Motors, E Bike or are you looking for battery information? 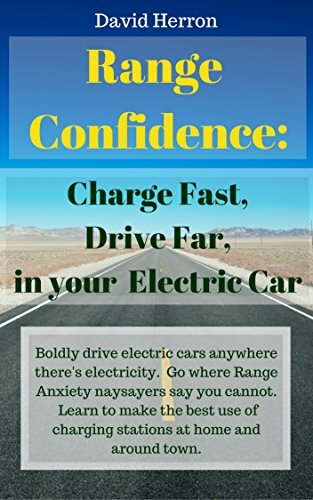 I have read many articles in the handbooks and most of them dwell on batteries, or controllers or some other aspect but I did not find one that dwelt specifically on motors. I see pictures of home done conversions but there is seldom detail on why they choose the motor they choose, what makes it good etc. what kind of motor is suitable? Which ones are more suitable? Which technologies are most suitable? what kinds of words describe them? How are motors rated? i have heard some people say that, for example, motor A is rated at 250 watts at 24 volts but if you use 48 volts it will produce 500 watts. Actually I am a complete moron on this topic. No problem we all once felt the same way once. Now that we understand what your looking for, we'll see how we can help. First we need to get what you need posted to a better location. Newbie wants to know, Which are more suitable for building a E Bike ? Your correct about the limited amount of E Motor information on this site, since you brought it to our attention we'll begin to add mare. Sometimes we overlook to fact we all had to crawl before we could walk. Hang in there, we'll learn together. Glad to see the EV Batteries Collaborative Hand Books helped. Here are some links that I had for understanding more about motors, perhaps they will help. When I started looking for a motor for my MB-1-E Mountain Bike build, I looked for bikes similar to what I wanted to make. and he had already done a lot of the work in figuring out what worked best for this particular type of bike. He had been through several versions of the bike and documented the process. There are a lot of things to consider in selecting a motor for an electric bike. The motor was the first thing that I purchased for my build. I found that motor speed (rpm) will determine how much reduction will be needed. I knew that I wanted my bike to go around 20 mph so I was then able to work back from that, knowing my tire size to how many rpms this needed to be. Then by dividing the motor rpm by my desired rpm I could figure the ratio reduction needed. I knew that I wanted a motor with quite a bit of torque since I live in a hilly area. I got lucky and found a good buy on ebay for my 24V Scott Permenant Magnet 3/4hp (650w) DC motor. I think a brushless would have worked as well but the opportunity to get this one came up. As you probably already know, 1 hp = 750 Watts. I think (others please correct me if I'm wrong) that higher voltage DC motors (>12V) tend to be more efficient and a higher voltage system can use smaller wiring. Generally a 24V or higher system will work much better than a 12V system. A 36V system perhaps better yet. However, the reason I went with a 24V system rather than a 36V system was because I wanted as many Amp Hours as possible for longer range. (If I have six 12V batteries each rated at 9Ah then I would have 27Ah@24V or only 18Ah@36V). These are just a few of the things I considered on my build. I think that getting the motor right at the beginning of the build was a good choice. It determines much of the rest of what will be needed. Good Luck ... keep us posted on what you find out. Thanks! It looks like my cheapest and easiest option might be to buy an electric bicycle here and swap the parts onto a bike with a better braking system and better quality all the way around. Also an option is to try to pick up the components piecemeal here to do it. The bike motors here are all hub motors. Are there any disadvantages to putting a motor on the front wheel instead of the back? I am specifically thinking of issues that affect handling, safety and stability. I want to do this to simplify having gear and a motor - maybe a hybrid bicycle? What do I have to look at to know if a hub motor can be souped up? I know that with some motors all you have to do is change the controller to a controller with higher voltage and the motor will produce more power. Is this true of hub motors or will they fry? Also, would there be any benefit to putting some kind of fan on a hub motor to try to cool it down? I am specifically thinking of glueing/screwing a blade right on the hub - maybe a squirrel cage kind of thing? Be sure to check you local laws, I have read they are illegal in some places in China, but many people continue to ride them. I also believe most of the E Bike stuff we use here comes from China, so there may be more options there than you currently are aware of. Sometimes the shipping cost as much as the part. Most bike motors can be run at a higher voltage to get more power. The current is what determines heating. I don't think putting a fan on the outside of a hub motor will significantly improve the power rating. Hub motors get a good amount of cooling from the air flow around them. To really use a fan effectively, you would need to drill out the sides of the motor (or at least one side) and force the air to flow through the inside of the motor where the windings are. With high powered hub motors, there's a tendency for the axle to spin out of the dropouts. This can be a disaster with a front mounted motor. For high power motors, a rear mount is preferred because the dropouts are usually stronger in the rear and a failure might be less of a disaster. All very good points Fechter. I would add that a rear hub should also work better for hill climbing and accelerating on wet pavement due to the added forces (or weight) applied to the rear wheel when resistance (such as climbing a hill or accelerating) is encountered. If used mostly on ice, snow or very loose material, however, a front hub may be a good choice, as many or us can testify who have driven a front wheel drive auto on an icy road. Thanks...the more I read...and the more pictures I see... I am beginning to wonder about the hub vs. drive train motors. I have read in a couple of places - including your comments - that front mount motors can cause trouble. Still I really want to keep the gears and the ability to pedal. Be able to seat 2 and travel at 15 mph indefinitely, 20 would be better. Yes, I know that in most westerns parts of the world seating two is frowned upon but in China it is the norm. There are bikes here with only 180 watt motors running on 12 volts that have 2 people planked on the back - I have even seen three. One time...I am digressing, but I saw someone riding an electric bike with a refrigerator strapped onto the back! I wish I had my camera then. It was a 2/3 size fridge, but non the less must have been quite a task. Range should be 25 to 30 miles. Can someone suggest a motor option for this - not a hub motor? Is it possible to get a motor for under US$ 100 to do this? I have found lots of sites for controllers and batteries but still have not found a goldmine for non hub motors that make good ebike motors. It seems you may want a Power Assist. What type Bike are you planning to use? I know of nothing you can purchase here and ship to China for $100. BTW, most of my cyling is on flat land, with the exception of an occassional overpass. If you have gotten some of the basic Motor information you requested, you might now get more replies if you post the E Bike questions at Newbie wants to know, which are more suitable for building a E Bike ? we created for you. Most of our members only read the subject, in the particular Forums that they are interested in, where as Moderators have to read all post. This also help keep the post on Topic. No problem, currently the average time spent by viewers of our site is about 8:03 minutes, so you want your post in the best possible place and worded so you get the replies your looking for. We're here to help that happen and make suggestions. Example the: the regenerative braking would probably receive more replies in Electric Technology etc.